When you’re designing something for a specific activity it really makes sense to take part in said activity to understand what is required. Well then, is it little wonder that when former Olympic wrestler and #2 ranked light heavyweight UFC fighter Dan Henderson started an MMA gear company it was a huge success? Clinch Gear was co-founded in 2003 by Henderson and has grown from a small company focusing on shorts to a broader MMA clothing line. They quickly created a reputation for excellent quality and design making Clinch a big name. Clinch is a really appropriate name for this brand, leaving aside the concept of clinching in the physical sense, consider the metaphorical meaning. When you clinch that illusive win, clinch the title you have worked so hard for or just achieving that important personal goal, clinching the success. 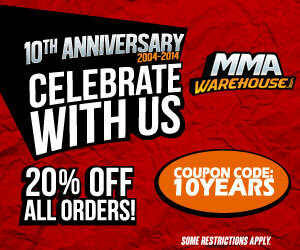 In any clinch the shorts and other MMA gear that this company produces are the ultimate for so many reasons. This is because Clinch Gear shorts and products are designed to be flexible but not rigid, be great for wicking away sweat, help with temperature regulation and be tough as you would ever need. These are all very important factors for keeping you comfortable and performing at your peak during training and competition. Clinch Gear products are also designed for comfortable fit with minimum slipping and to look professional. You can buy any number of novelty rashguards or shorts from other manufacturers but Clinch brings you serious style – showing that you mean business.